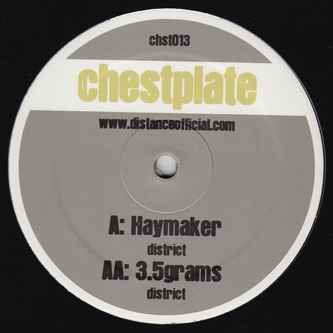 Monstrously heavy Dubstep from youngblood producer, District. If we're not mistaken this is his debut release (and a promising one at that), following his inclusion on Distance's Dubstep Allstars 8 mix. 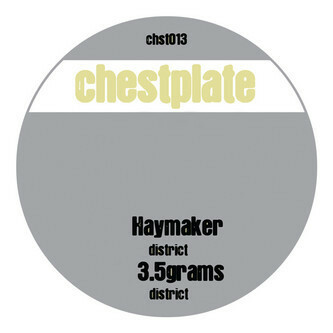 Face up, he takes an agile stance for 'Haymaker', delivering hooking snare blows and snarling bass grimaces with excellent poise and measured sense of space to each hit. Flipside is the aforementioned Allstars cut, '3.5 Grams', a ravenous halfstep beast built to bruise even the most heavyweight soundsystems.